Little Italy has long been known for, of course, Italian food. But a recent influx of exciting new restaurants and bottle shops is bringing some serious culinary creativity to the neighborhood, making it one of the tastiest destinations in San Diego. Pasta beware: the hot noodle in town right now is ramen, thanks to Little Italy’s newest restaurant opening, UnderBelly. The venue offers a San Diego take on the traditional Japanese ramen bar with a menu focused on authentic ingredients and regional ramen customs; in addition to the time-honored ramen dishes, the menu features light appetizers such as kurobota sausage, shrimp gyoza and ginger beef brisket mushu. The design features of this super hip space include windows that fold down into tables and a giant portrait of Chairman Mao constructed entirely out of succulents. San Diego’s booming brewing culture has invaded Little Italy too. Bottlecraft on India Street is part tasting room and part beer retail shop; the boutique shop sells a wide array of San Diego’s craft brews as well as a carefully curated selection of bottles from around the world. 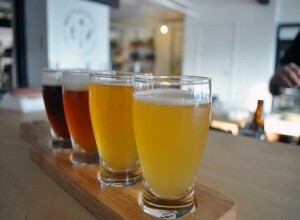 Daily tasting flights are offered at the in-shop bar, where customers can also imbibe their shop purchases. 98 Bottles on Kettner Boulevard is a mixed-concept lounge with a beer retail shop, tasting snacks and desserts as well as live entertainment. Of course, if Italian is still what you’re craving, the new Davanti Enoteca won’t disappoint. The restaurant’s rustic Italian menu features dishes such as seared octopus with warm fingerling potato salad, Marcona almonds, finnochiona and fresh horseradish aioli and the “Uovo in Raviolo San Domenico,” a giant raviolo with ricotta, egg and spinach. Bring a group of friends to try out their many cheese and salumi offerings, as well as antipasti and “vasi” – small mason jars of spreads paired with Tuscan toast. With so many delicious options, which Little Italy restaurants are your favorites? This entry was posted in Culinary, Insider Tips and tagged beer, craft beer, dining, little italy, restaurants by Candice. Bookmark the permalink. 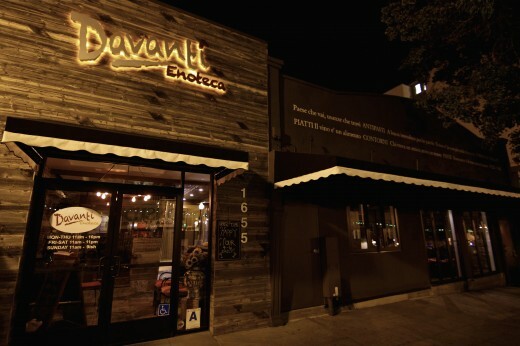 The dining experience at Davanti Enoteca sounds awesomely delicious. At first glance, I would order the giant ravioli with the ricotta (yum), egg and spinach. Accompanied by a succulent antipasti would be out of this world. I wonder if the Italian dining in San Diego equals New York City.